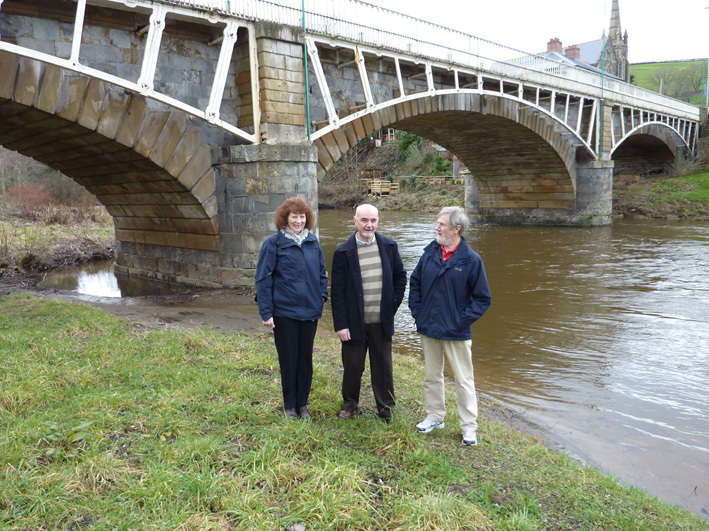 From left to right, - Kath Wigley (original treasurer), Peter Harris (chairman) and Mike Davies (secretary) of the River Severn Custodians. Photographed under the Long Bridge in Newtown. Photo by PJB Scott.